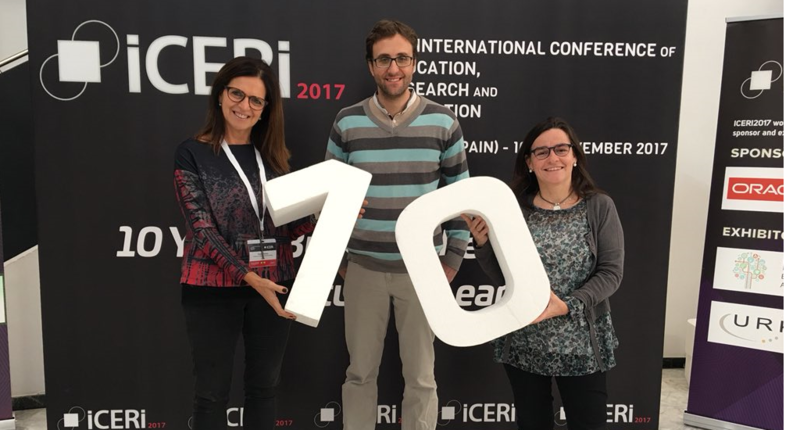 On 16th, 17th and 18t of November took place in Seville the present edition of the International Conference of Education, Research and Innovation (ICERI 2017), organised annually by the International Academy of Technology, Education and Development (IATED). ICERI is one of the largest international education conferences for lecturers, researchers, technologists and professionals from the educational sector. 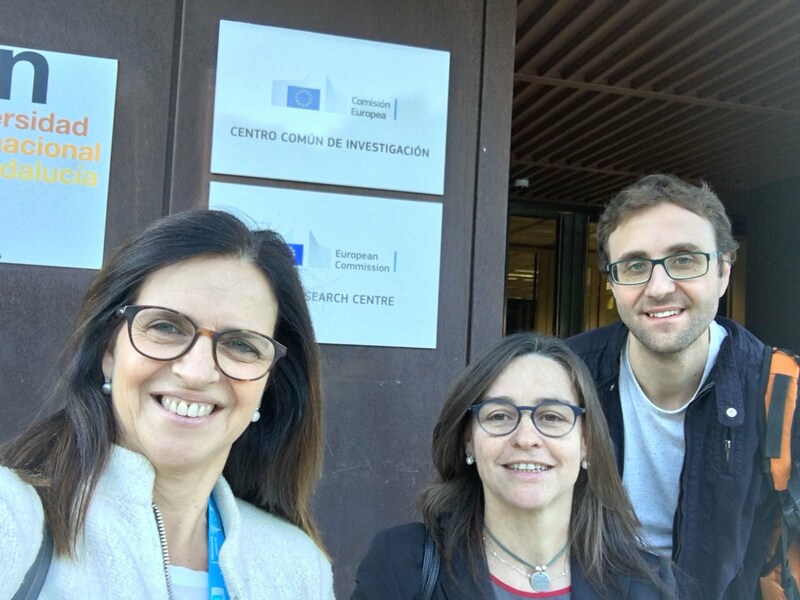 On this occasion, the Edul@b research group, represented by Montse Guitert, Teresa Romeu and Marc Romero, has presented two papers entitled “Conceptual framework on Digital Competences in primary and secondary schools in Europe” and “Pre-service online teacher training based on the collaboration “within the framework of the congress. The first communication presented the first results of the European project H2020 in which Edul@b participates Demonstration of a scalable and cost-effective cloud-based digital learning infrastructure through the Certification of digital competences in primary and secondary schools (CRISS). The second of the communications has focused on the online workshop Form@tic offered by the UOC, which provides teachers in their initial training stage knowledge to carry out their future teaching strategies. On the occasion of the visit to Seville, the members of Edul@b have also visited the Technological Prospective Institute (IPTS), one of the research centers of the European Commission, which aims to promote a better understanding of the relationship between technology, economics and society, and also works in the field of Digital Competences.